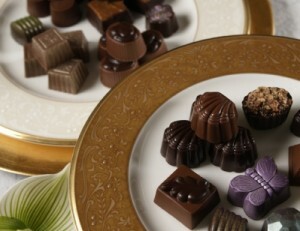 A chocolatier in Irvine, California, will be featured on the Food Network because of its chili-infused chocolates. Xan Confections, along with six other companies, will appear on the network’s show “Unwrapped” as part of its “Hot and Spicy” episode beginning July 17. The chocolatier’s ancho chili jewel caramels have captured the tastebuds of food experts and will be included in the show. The non-dairy caramel candy is infused with alderwood-smoked salt and ancho chilis, creating a complementary combination of buttery and spicy flavor. The Jewel Caramels come in six flavors, including bananas foster, coconut pecan, espresso almond, and butterscotch snickerdoodle. Xan prides itself in creating sweets from 100% natural ingredients, many of which are produced locally in Irvine.